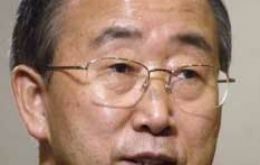 Strategies should be found for determining the future of each of the world's 16 remaining territories that are not yet self-governing Secretary-General Ban Ki-moon told a United Nations seminar on decolonization in the Caribbean island of Grenada on Tuesday. The argentine air force reported a new aircraft near miss, the second since May 7, although air unions claim that since that date there have actually been four near misses amid Argentina's collapsed air traffic system. 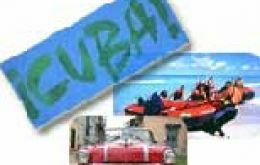 Cuba says it will spend about $185 million to upgrade more than 200 resorts, golf courses, marinas and other facilities in a bid to reverse a dip in tourism to the island. 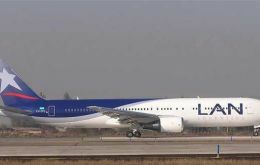 LAN Argentina was forced to cancel on Tuesday morning an additional five flights following the support from ground crews to the airline' pilots, technicians and crew members strike. California's Yosemite and Chile's Torres del Paine national parks administrators visited this week Punta Arenas and met with local authorities in the framework of the recently signed twinning agreement with the purpose of promoting sustainable tourism. With the tourist season having drawn to a close, it is easy to imagine those involved putting their feet up and waiting for the next wave of visitors, but the opposite is in fact the reality. Growth of the tourism industry must be in parallel with a sustainable environment development which means Chile is not interested in massive tourism but rather in visitors who have a special interest in nature and wildlife, admitted the country's Director of the Tourism Office, Sernatur, Oscar Santelices. Sixteen tourism operators from Punta Arenas are traveling to Norway to participate in the World Eco-Tourism Summit which begins next May 14 in Oslo and will be opened by Queen Sonja. Brazil's TAM Linhas Aéreas and Lan Chile, both airlines with a clear dominating position in their domestic markets have agreed to formalize a business alliance. The agreement to be implemented in the next three months aims to develop partnerships in routes operated in South America, broadening passengers' options to fly to several destinations. When Australian pop diva Kylie Minogue arrived at Santiago de Chile's international airport last Wednesday, she was met by film producer Alexander Dahm, who lives in Mexico with his wife and son.